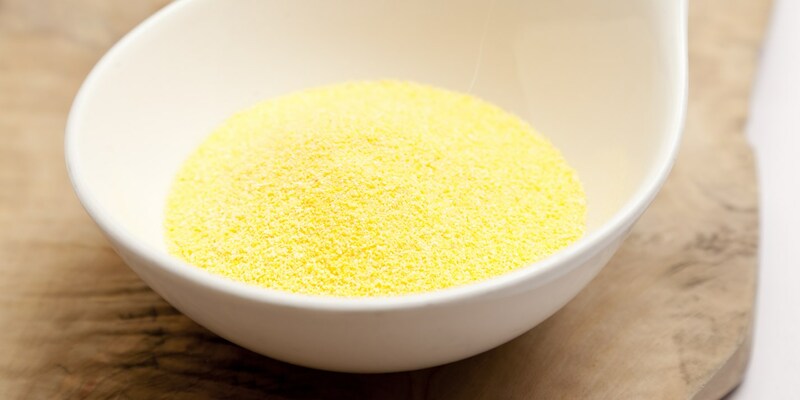 Polenta is a traditional Italian ingredient made from cornmeal, which had been eaten since Roman times. The name derives from the Latin pollen,meaning fine flour. Polenta is usually boiled in water (sometimes milk) until cooked through and either served straight away or chilled then sliced and fried. When prepared in the traditional way, polenta is cooked in a copper pot called a paiolo and stirred with a large wooden spoon known as the torello. For a creamier polenta, try substituting the water for milk or adding a splash of cream or knob of butter at the end of cooking. For an extra boost of flavour stir through some grated parmesan, chopped basil or cracked black pepper. To give the polenta a more savoury flavour, you could try cooking it with vegetable or chicken stock. Grazia Soncini serves her buttered polenta with Roast eel, garlic and rosemary while Anna Hansen serves hers with a Welsh lamb shank and Persian lime pesto. After cooking his polenta, Pascal Aussignac makes deliciously crispy Polenta fries.